Sanjana Ramrajvel “We want Communists, we want anarchists, we want them all,” Mealey says. Alexis M. Mealey ’21 is skeptical of labels. 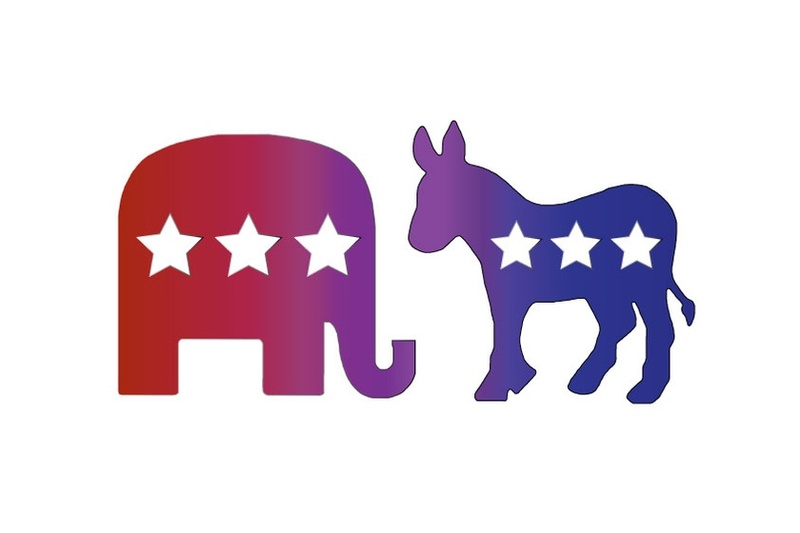 Political labels, that is, like “Republican” or “Democrat.” Mealey’s personal beliefs, she says, do not fit neatly into the platforms of either party. Though she is the president of Harvard’s chapter of the Network of Enlightened Women, an organization for conservative women, she is pro-choice and passionate about prison reform. This dissatisfaction with partisan politics led Mealey, along with her two co-founders Sarah B. Gill ’21 and Samantha J. Frenkel-Popell ’21, to found the Harvard Undergraduate Centrist Society. The organization had its first introductory meeting last month. “I’ve been thinking about this since the Visitas debate,” Mealey says, referring to the annual debate between the Harvard College Democrats and the Harvard Republican Club during the College’s accepted students weekend . Both Mealey and Gill attended the debate, and both left feeling disappointed. Gill ultimately joined the College Democrats, and Mealey joined the Republican Club, but both felt that these labels impeded “actually discussing issues in any kind of meaningful way,” Mealey says. Frenkel-Popell, the Centrist Society’s other cofounder, worked extensively with independent movements and campaigns during her gap year. She says she also felt frustrated when it came to having productive political discussions. The founders want the Centrist Society to be more than just a space for debate, however. The organization plans to adopt a legislative agenda each semester, focusing on one issue with the potential of expanding it to the next semester as well. “We’ll select [the issue] as an organization at the beginning of the semester and work from there,” Mealey explains. “That will include researching policy solutions, creating bipartisan policy proposal, and then bringing them to whatever relevant bodies exist.” This semester’s agenda has not yet been chosen. Mealey believes that no particular political stances should be explicitly off-limits, though she does set some conditions. “If you’re invalidating someone’s identity by your political opinion, then yeah, it’s probably wrong, but we want an entire range of respectful opinions, no matter how far on the spectrum they fall,” she says. “That’s not to say we’re not working to reinvigorate the center. We’re doing work with independent movements and center-right, center-left movements and various campaign reform groups, because we find that really important,” Frenkel-Popell adds. Within Harvard, student reactions to the Centrist Society seem to be largely positive. “We are very excited to see more political engagement on campus. We will continue our focus on progressive political activism, but we always welcome new ideas on campus,” says Riley E. Hoveland ’22, the communications director of the Harvard College Democrats. Victoria M. Marquez ’20, the president of the Harvard Republican Club, feels similarly. “I support the mission of bringing together people of different ideologies to try and work together and find bipartisan solutions,” she says. Some students, like Molly C. Nolan ’19, expressed doubts about the Centrist Society’s vision, which includes bringing together everyone from Trump supporters to Bernie fans. “I think that’s very idealistic,” she says. Though Nolan thinks bipartisanship is “a very good, very important thing,” her perspective is shaped by her understanding of politics in her home country of the United Kingdom. — Staff writer Angela F. Hui can be reached at angela.hui@thecrimson.com Follow her on Twitter @angelafhui.